When visitors, clients, or even interviewees come into your office, the guest chair plays a vital role in their overall impression. 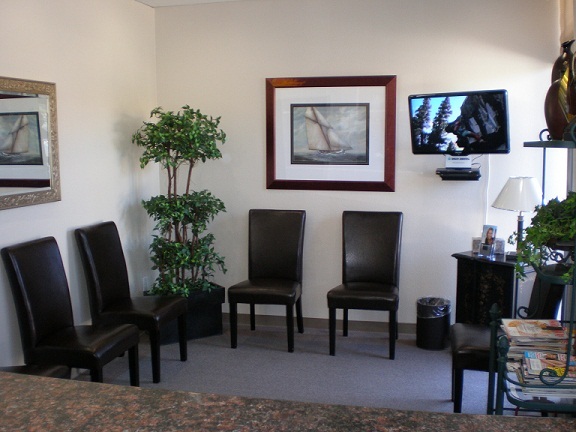 Sitting in a waiting room chair or reception chair may be the first tactile experience they have within your building (other than opening the door). The commonplace interaction of sitting in these chairs, although it may itself go unnoticed, may benefit or harm the overall experience someone has in your office. A comfortable chair, especially when positioned to give an easy view of a window or picture, will encourage a visitor to physically relax, thereby encouraging the visitor to be emotionally at ease. Conversely, an uncomfortable chair may cause a visitor to fidget or stiffen, stirring up a sense of anxiety or apprehension that could have been avoided with more thoughtful design choices. Even before the tactile experience is the visual experience. First impressions are developed in seconds, and guest chairs are an important part of an office’s scenery. In office design, all elements of a room should both complement each other and evoke the image or feeling of the company. While a law firm may style itself in rich, somber colors, a graphic design business may opt for a fresh or airy look. An appropriate choice for the law office could be a plush leather guest chair graphic design company may choose a visually appealing mesh and metal chair. No matter what type of frame or upholstery is ultimately decided on, the look of each chair should augment its surroundings, not just be your favorite design in the catalogue. You may notice that while the chairs of office workers and managers may seem a bit involved, reception chairs often seem simple and plain by comparison. This isn’t just a power play. Reception chairs are often moved around and carried from room to room depending on what an office’s needs are from moment to moment. In some offices, lobbies are rearranged into meeting rooms, and the furniture needs to be just as versatile. For the sake of practicality, reception chairs should be sturdy but light and take up minimal space. This will also let you set more chairs into a given space to take greater advantage of an area. If space is a concern in your office, the size of your chairs and other office furniture should be taken into consideration when designing the floor plan. However, if you are absolutely sure that a given room will only be used for one purpose, you may have a bit more wiggle room in picking out your guest chairs.